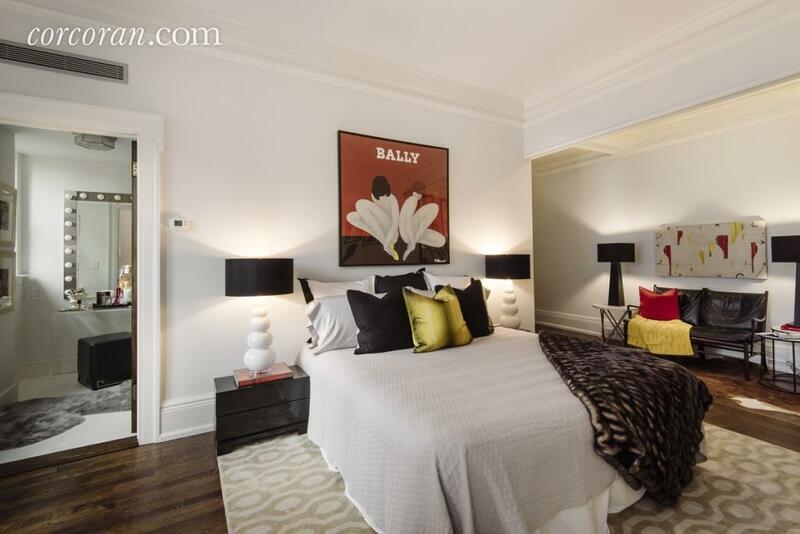 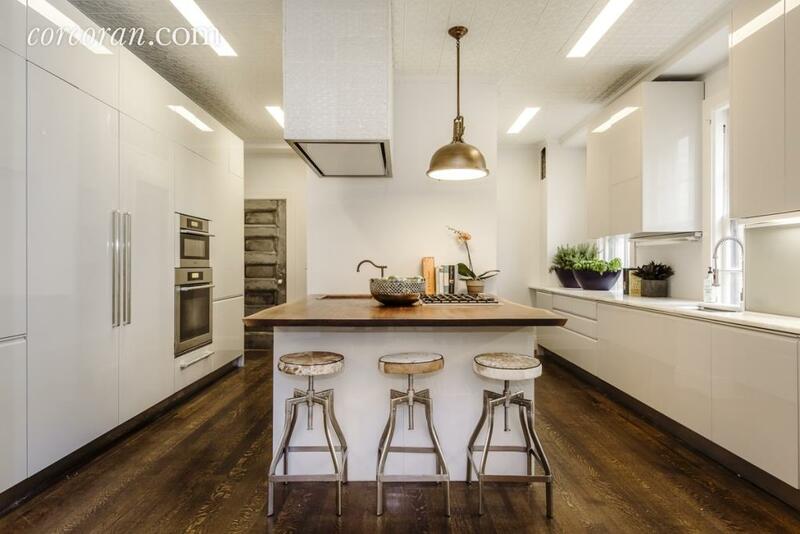 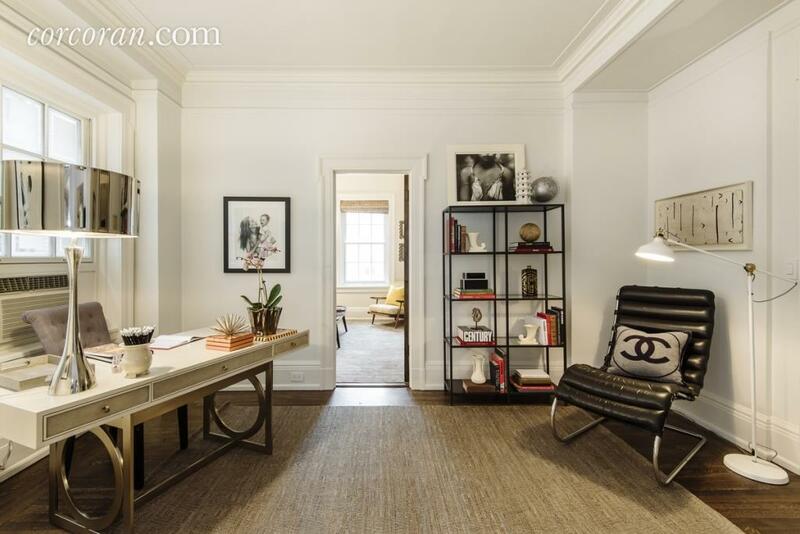 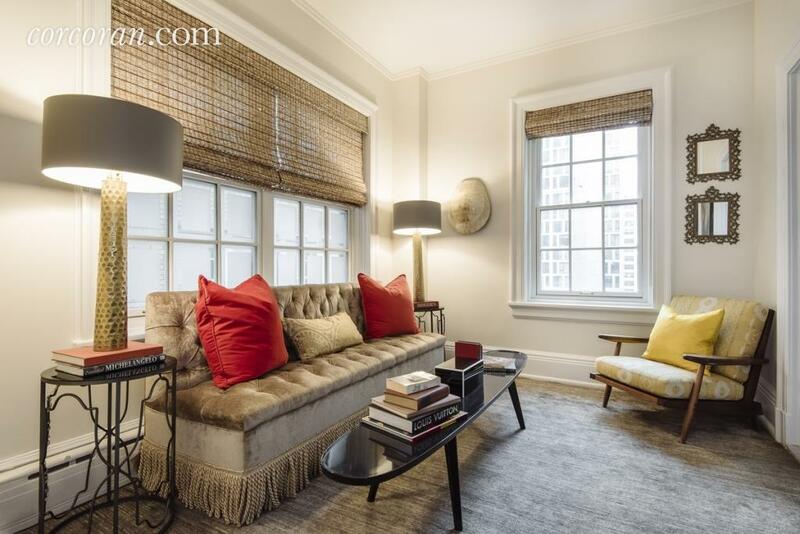 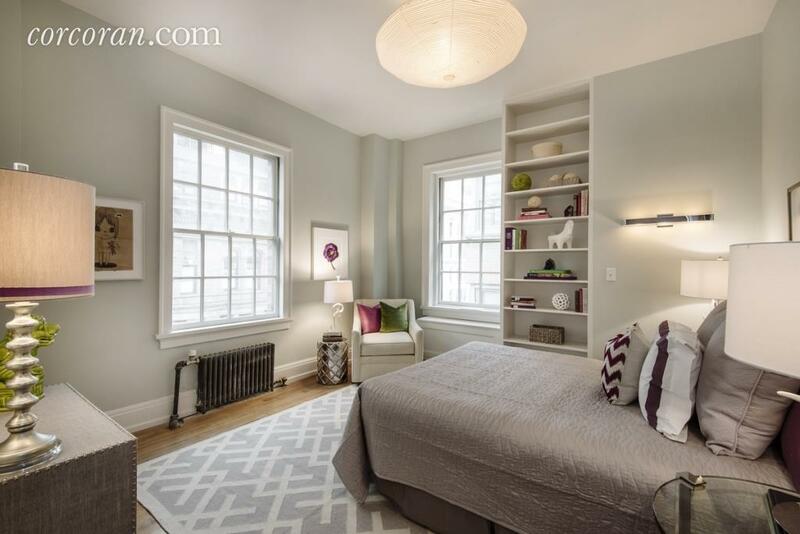 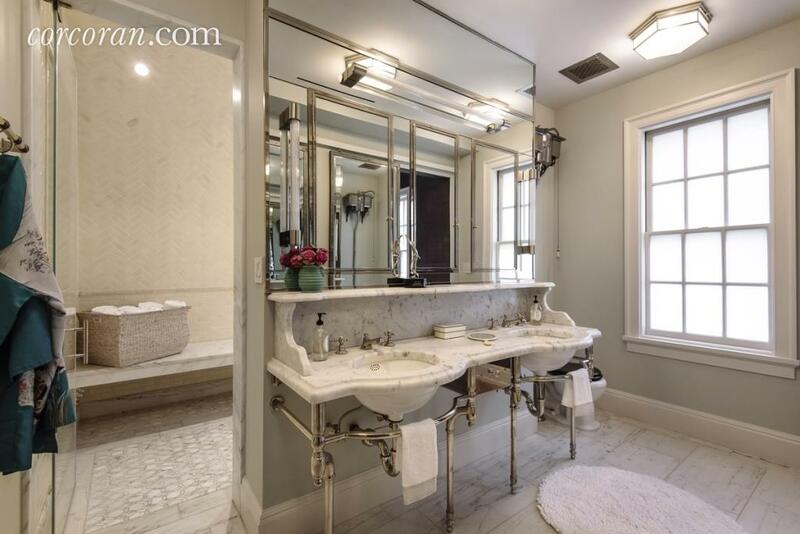 Actress Uma Thurman has just listed her Gramercy Park duplex co-op at 1 Lexington Avenue for $6.25M; a key to the private park is part of the deal. 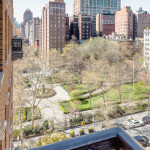 After living in an adjacent duplex with then-husband Ethan Hawke, Thurman bought the unit next door for $2.65 million in 2006 after their divorce; during the subsequent renovation of what would eventually be a 2,800-square-foot five-bedroom home, the family resided at a Greenwich Village townhouse purchased for $9.5 million in 2006 (and sold for $12 million in 2011). 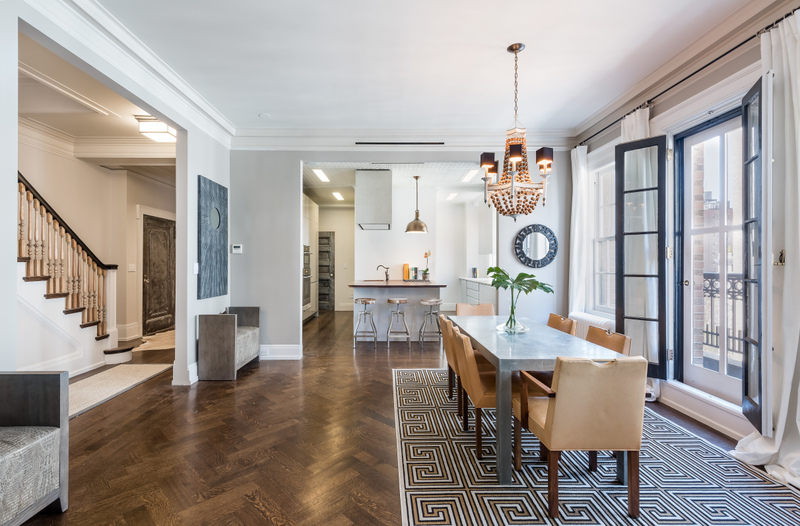 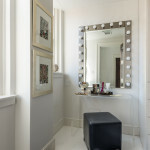 With three growing children and seeking even more space in the Gramercy spread, an adjacent one-bedroom was added to the picture. 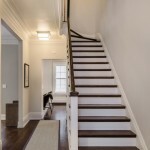 The duplex at 1 Lexington is unique in its layout, but the first thing you notice looking at the floor plan is its size, and the fact that it’s set up for comfortable private life. 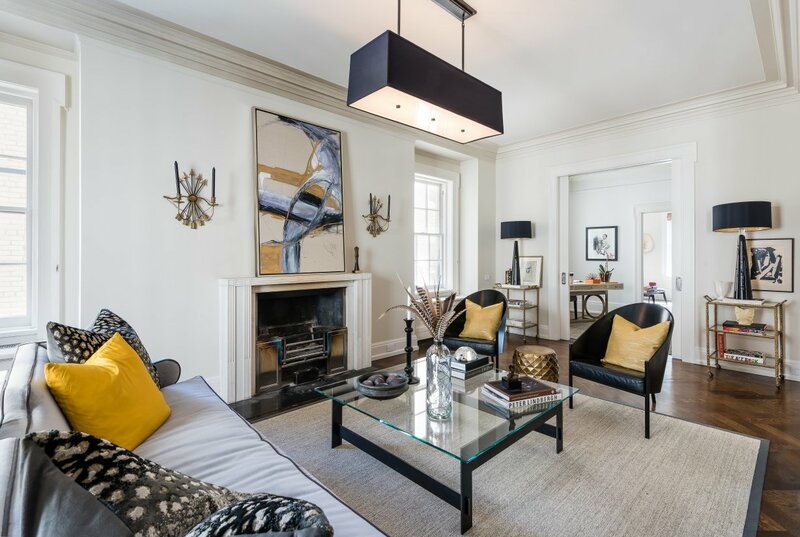 The home’s interiors combine restored pre-war details with a contemporary layout and mid-century modern design elements, starting on the main floor where a gracious townhouse-like entry gallery leads to an open entertaining and living space, with rooms that flow seamlessly into one another. 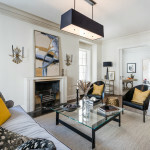 The corner living room is highlighted by a wood-burning fireplace. 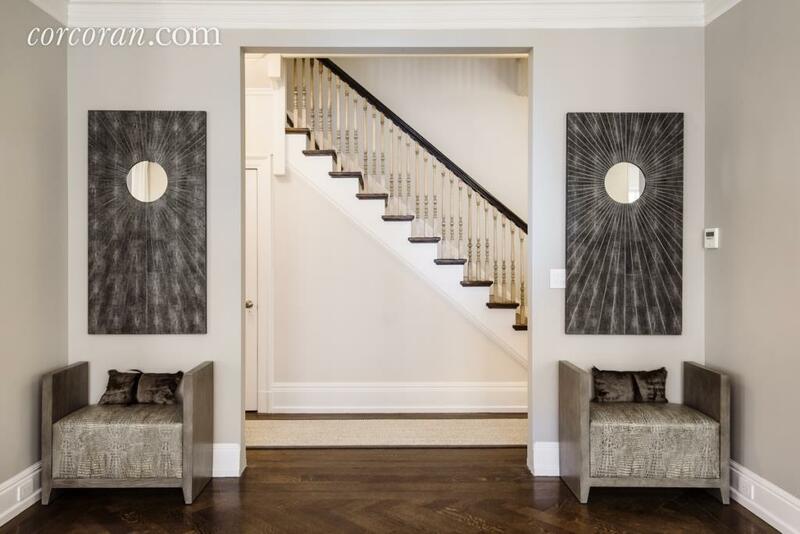 Pocket doors lead to the library; a formal dining room anchors this floor. 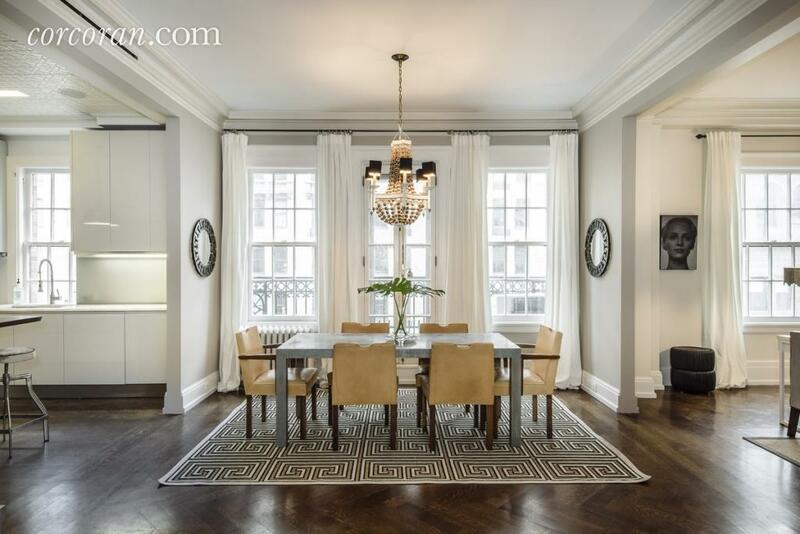 From the dining room, double French doors open onto a Juliet balcony offering views of Gramercy Park. 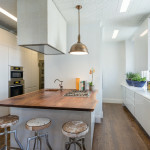 A large, stylishly sleek eat-in kitchen has a marble and live-edge black walnut entertaining island, walnut countertops, Miele and Bosch appliances, original tin ceilings and a custom fleur-de-lis tiled hood. 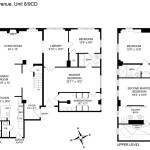 In a well-separated section of the main level are two bedrooms, including a master bedroom with a walk-in closet and dressing area with its own separate entrance and a smaller corner bedroom. 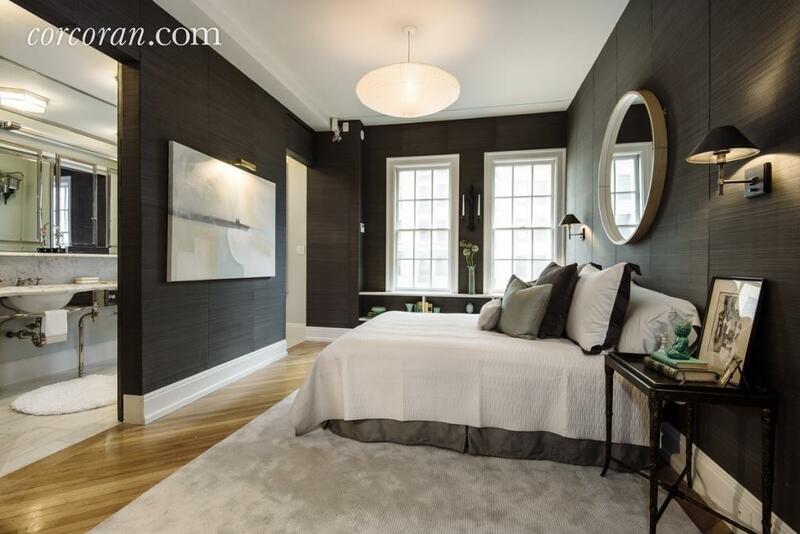 On the upper level are three more bedrooms. 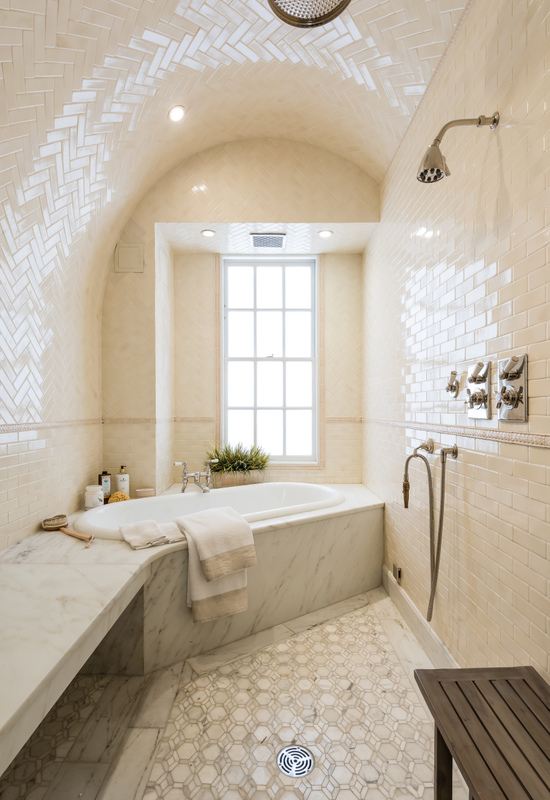 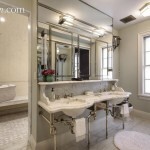 A second master bedroom suite has horsehair upholstered walls, another walk-in closet and a luxurious bath with a spa area modeled after a Turkish bath, complete with a steam shower, an arched tiled ceiling, a marble slab seating area and a soaking tub and shower combination. 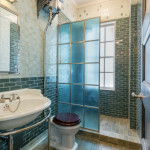 There are two additional bedrooms here as well plus a bath with an antique English pull chain water closet.